A business cannot grow until you can get your brand in front of the right people. This is exactly what public relations is here to help you with. Existing as a backbone of sorts to marketing efforts, of any company, the public relations component of a company determines if, when, and how to manage and release information about a company or a product. Increased social media and technology has disrupted the way that stories are being shared and told, that is why public relations is important to manage the spread of information between organizations and individuals. Whether on a personal, governmental, business, or public level it is important to maintain or evolve brands to reflect the goals and values of an entity with as few obstacles as possible. Public relations is all about telling a story and getting people to listen to that story. With the presence of an ever expanding social media platform. However, the line separating public relations from marketing has been blurred and as a result, important business components have been forgotten about. The truth is you can’t actually have one without the other, just because social media has become a huge part of day to day life does not mean that it has the power to take the place of public relations. While the goal of marketing is simply to sell a company’s products and service. 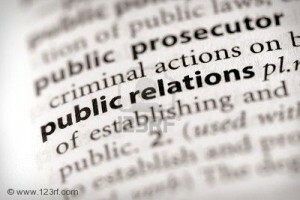 Public relations works at a deeper level to develop and maintain company relationships and reputation. Public relations is much less expensive than advertising making it incredibly valuable to small businesses. A consistent and effective program brings awareness to a company as well as supports any current marketing campaigns. Public relations creates visibility for a company. This visibility can work in a multitude of ways ranging from making a small business appear larger or more established than it actually is to attracting and possibly securing partners, customers, or fundings. It is important that businesses do not eliminate public relations and take short cuts in growing or managing their small businesses. Let’s face it, it is important to maintain relationships with people and other businesses because at the end of the day what is a business without stakeholders?